Two new videos from Oregon Sea Grant demonstrate how to collect and identify aquatic insects and test water quality using kits available from StreamWebs. One of the videos, How to use StreamWebs’ macroinvertebrate kit, shows educators how to teach students to collect and identify aquatic insects using the macroinvertebrate kit and data sheets. The other, How to use StreamWebs’ LaMotte water quality kit, shows how to teach students to test water quality using a kit with equipment made by LaMotte. 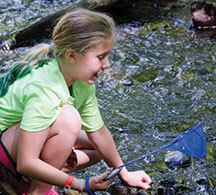 The kits are among several that educators can borrow from StreamWebs, a program administered by Oregon Sea Grant. StreamWebs provides educators with field equipment, data sheets, lesson plans and training so they can teach students how to collect data about the health of waterways. It also provides an online database where students can enter and analyze the information they gathered. 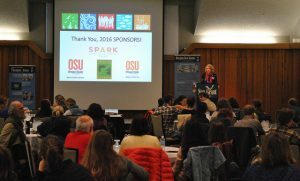 Both videos were produced by Oregon Sea Grant’s Renee O’Neill and Vanessa Cholewczynski and shot and edited by Cholewczynski. Special thanks to Angela Clegg with the South Santiam Watershed Council; students from Foster Elementary School in Sweet Home, Oregon; Grayson Johnston; and Zethan Brandenburger. 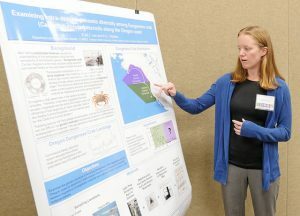 A new publication from Oregon Sea Grant, Collaborative Science-Stakeholder Engagement, encourages collaboration among scientific disciplines and extending that collaboration to include participants outside the academic world. The 20-page publication outlines various types of collaboration, both among researchers of diverse disciplines and among rese archers and stakeholders. It explores collaborations seeking to achieve different goals in natural-resource research and management (sustainability, climate change adaptive management, decision-making tool development, alternative futures exploration). In also provides examples of stakeholder engagement in these contexts for the understanding and management of various natural resources, and summarizes literature from other research on science-stakeholder engagement elements. Finally, the guide lists the lessons learned, necessary elements and impacts from these case studies. 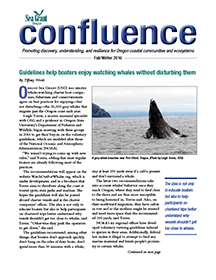 The guide is intended as a resource for anyone interested in connecting science producers and science users. It summarizes literature from a broad swatch of research with science-stakeholder engagement elements. 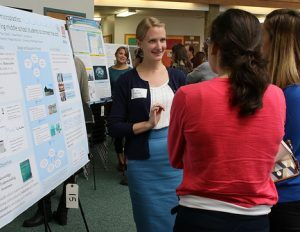 The research was conducted and text written by Laura Ferguson, Oregon State University Marine Resource Management program, with review and contributions by Samuel Chan, Mary Santelmann and Maria Wright. 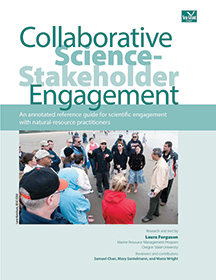 Collaborative Science-Stakeholder Engagement is available as a free, downloadable PDF here. How might a changing climate and rising sea levels affect the Oregon coast? For the sixth straight year, Oregonians are invited to bring their cameras and smartphones to the coast and join in an international effort to document unusually high “King Tides” to help answer these questions. This year the project focuses on three sets of extreme tides: Oct. 27-29, Nov. 24-27 and Dec. 23-25. Organized in Oregon by CoastWatch, the project invites anyone who can get to the coast during these tides to take shots at the highest reach of the tide on those days. Photos can focus on any feature, but the most useful show the tide near the built environment – roads, seawalls, bridges, buildings, etc.. Ideal photos would allow the photographer to return later, during an ordinary tide, to get comparison shots. CoastWatch is making a special effort this year to document King Tides near Oregon’s four marine reserves (Cape Falcon, Cascade Head, Otter Rock, Cape Perpetua and Redfish Rocks.) Participants will be able to share their photos on Flickr and should be prepared to include the date, description and direction of the photo. The Oregon King Tides Photo Initiative website will include an interactive map to help photographers determine the latitude and longitude of their shots.